If you’d like more blogging tips and tricks, subscribe to my MBA Sahm Blogging Mailing List for notification when new posts are published. I hope you enjoy everything you read! Thanks for your time! Broad topics are extremely difficult to rank for. Not only is the competition fierce, but Google may have trouble figuring out exactly what you’re talking about, which will end up working against you. 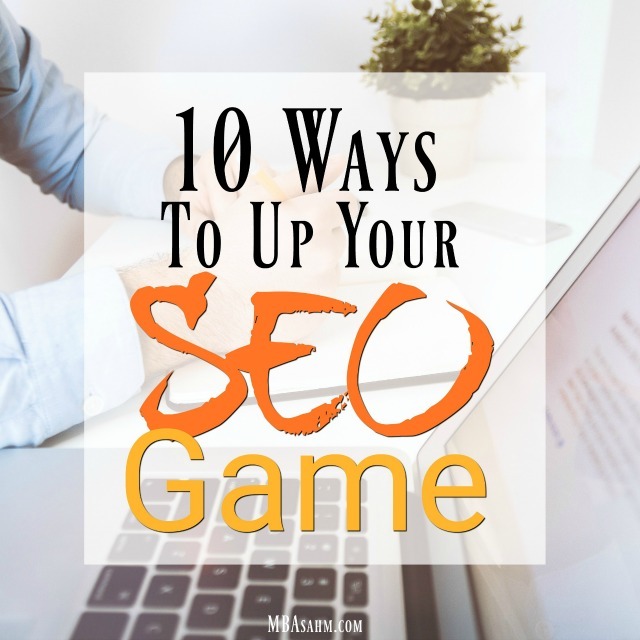 To give yourself the best shot of showing up in Google searches, you want to focus on a very specific topic. If your blog or website is already niche-specific, then you’re a step ahead! This does not, however, mean that you won’t be successful with SEO if your website or blog is not niche-specific. I am telling you this because the notion that your blog or website has to be extremely focused has discouraged me on multiple occasions – and it’s just not true. What is important is that each blog post has a niche focus. Keywords are really, really important when it comes to SEO and high search rankings. They tell Google what you’re writing about and help to match you with the right search criteria. Once you’ve decided on your keywords, you want to do some keyword research. There are tons of websites that provide a lot of information about keywords – similar search criteria, how difficult your keyword(s) will be to rank, your competitors, etc. These sites have the power to change your SEO game, but I still prefer the obvious (and free) option: Go to Google. You can learn so much by simply searching your keywords. Pay attention to what Google autofills – that tells you what other people are typing! At the bottom of each page, Google lists “Searches related to…” That is also valuable information! Make Google Analytics and Google Search Console your best friends. They will tell you what search terms led to your pages and that is a treasure trove of information. If this is something that you think that you will struggle with, then you might find it more beneficial to hire a professional to help you out. You could check out a website like linkbuilderseo.com to give you a better idea of what is on offer. Keywords are very, very important. But Google is also very, very smart. So stuffing your blog post with the same keyword (or a close variation) is not going to work in your favor. In fact, if anything, it’s more likely to hold you back. Not only does Google penalize sites that blatantly try to game the system, but your readers aren’t going to be happy with an awkwardly worded post. Instead, use lots of relevant synonyms in your post. This will make your readers happy and actually gives you a chance to rank for more search terms that you may have overlooked. More importantly, Google knows their stuff, so closely related search terms will work together to help you rank higher. Linking to other pages on your site, as well as other relevant sources, can have a huge impact on your search rankings. I have had posts move from a mid-level spot on Google to the very top spot by simply adding a relevant link. Links do a few important things for your post. First, they add credibility to your post and show that you’ve done your research. Second, when people click on your link, it’s considered to be engagement, and that is a big factor in SEO. And third, if you are linking to your own site, you are increasing your own traffic and credibility, which helps your site overall. Images are the dark horse of SEO. You wouldn’t think they’d have a huge effect, but they can completely change the ranking of posts they’re added to! Behind each and every image on your site is metadata. When you go to edit these images, you should be able to edit that metadata. For WordPress users, the Title field and Alt Text fields are most important. This is a huge opportunity to include your keyword! Aside from keyword usage, images make your post more readable which should increase the amount of time that visitors spend on that post, which is another important SEO factor. And finally, images make your post more optimal for social media. And believe it or not, social media WILL help your SEO game. Social media and SEO are often talked about as if they’re mutually exclusive…or at least they used to be. Times have changed though and they now go hand-in-hand. First and foremost, traffic is vital to SEO. Google knows when Facebook is sending tons of traffic to your post and that is really important. That traffic will help your post to rise in search results. Second, as social media sites move towards becoming their own search engines, they are starting to show up in Google results themselves. That means that a pin of yours could turn up on Google’s first page, while your original post – the post the pin is linking to – doesn’t show up until page 3. In your analytics, this traffic will be credited to Pinterest. But really, it came from Google. For a broad lifestyle blogger like myself, this has been unbelievably helpful. If your website already has a very tight niche, this will happen naturally. Otherwise, try to write at least 3 posts that tie to the same keyword phrase, or a close variation. This will help you with interlinking, building an expertise, and covering the topic in more detail. You want to make sure that you don’t write about the same exact thing over and over again though, so try to come up with a different perspective, a supplemental topic, or a different way to elaborate on your keyword phrase. While your title is extremely important, what is often overlooked is the importance of headings, specifically H1 and H2 tags (heading 1 and heading 2 in WordPress). Google attributes importance to these, so make sure you are using them in your content. In addition to headings calling out keywords, they increase the readability of your site, which is also good for SEO. The longer readers stay, the more Google will like you! Over the last few months, Google has started to give priority to sites that are more secure – specifically, sites that have SSL and thus use “https” instead of “http” (you’ll also notice a green Secure symbol in your browser). This is very important for any sites that sell their own products, but also important for bloggers that want to appear more professional and get that extra boost from Google. Getting SSL and https set up on your site is usually pretty simple. You can purchase it from sites like GoDaddy (that is who I used) or talk to your own host to see if they can do it for you. GoDaddy did everything for me, so it was as simple as approving the sale and waiting 24 hours for things to change on Google’s end. When all was said and done, I did notice a boost in my Google traffic, but I don’t want to get you overly excited – it didn’t skyrocket posts to the #1 spot. What I noticed mostly was old posts getting new, fresh traffic, which gave me an opportunity to work on them and help them out even more. Last, but certainly not least, SEO courses abound on the internet and while you want to be careful where you put your money, the right SEO course can have a transformational effect on your blog. Not only are you likely to discover something new, but enrolling in a course often holds you more accountable and helps to immerse you in the world of SEO. Many SEO business are available to help you with your SEO too, for example, The SEO Dentist is a dental web design company who only work with Dentist’s websites and therefore know how to boost dentists up the Google ranks! I’ve taken Kelly’s SEO course over at Sticky Blogging and it definitely upped my SEO game. 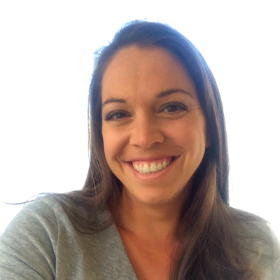 Kelly is very knowledgeable and extremely organized, so she was truly meant to teach! Her course has actionable items right from the start, so you actually do things to improve your SEO (as opposed to just hearing about them). I hope these tips were helpful! As always, let me know in the comments if you’ve got your own tips that I haven’t mentioned. Happy blogging! Hey Nikki, this is so awesome. I was always under an impression that your blog needs to be niche and at times, it did discourage me. Yoast SEO free plugin on WordPress does help me get these things right. I think it is a good start for every newbie blogger to understand SEO. What do you think? I still haven’t taken advantage of SSL – it’s on the perpetual list of things to do. Love these ideas! 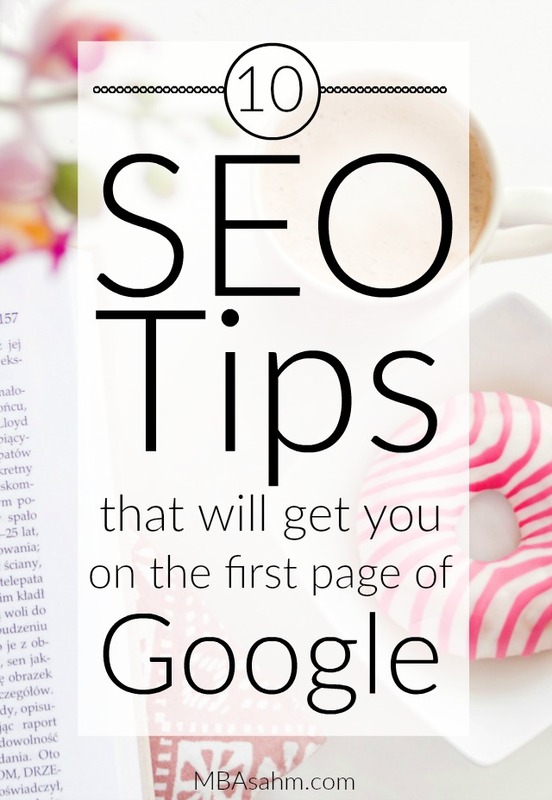 Thanks Nikki for these great SEO tips! I’ve heard it takes a long time for Google to give you more referrals if you are optimizing your content for SEO.